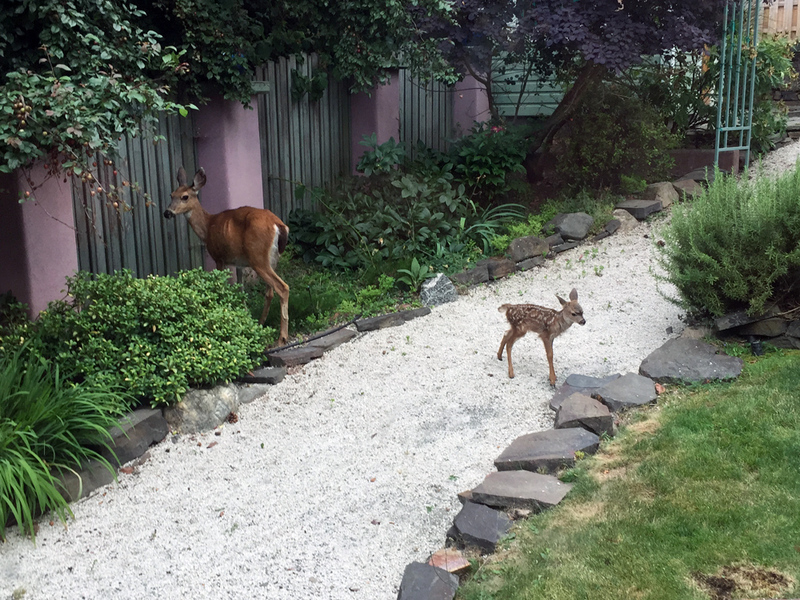 Last week a doe gave birth to at least one fawn in our front yard. We saw her nursing two fawns at the same time, but it wasn't clear whether she was wet-nursing for another doe or if she somehow had two fawns at the same time. And she ain't talking. Later in the week, we just happened by a wandering chicken. I think they are funny because they don't walk. They just hop around like little feathery pogo sticks.